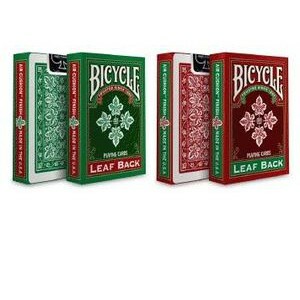 Choose between red and green backs on these festive playing cards. 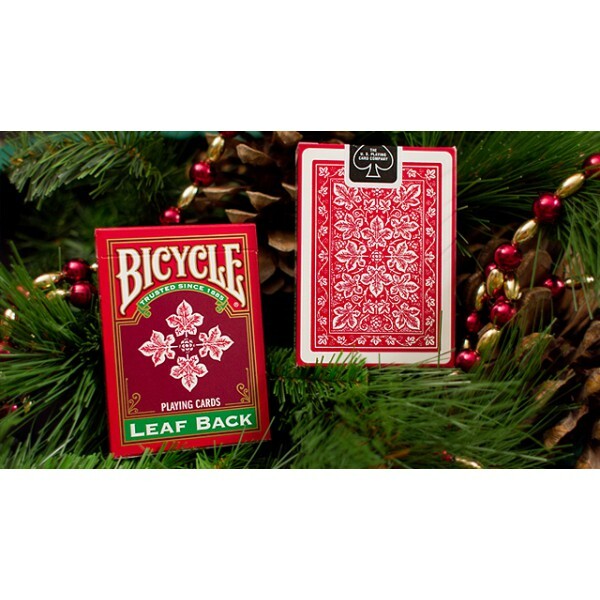 The Leaf Back design was originally released in 1947, making these cards historic as well as holiday-appropriate. The intricate leaf pattern comes in red or green, while the fronts retain the classic four-color design. 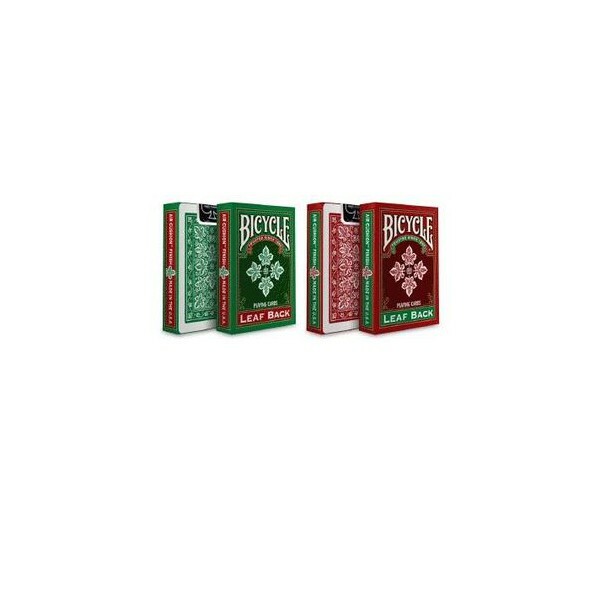 The Leaf Back Decks are printed on quality Bicycle® card stock with patented Air-Cushion™ finish, and features original art on the backs. 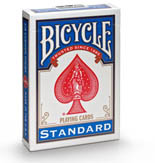 These decks are made in the USA at the United States Playing Card Company.